One of the first Action Figures I got when I was younger. I bought him with Rocksteady. Of course you have to get these guys in a pair that's were you can re-create the best fights scenes. Brings back memories taking my old action figures out of storage. Always At Bebop side, the Shell Drill serves as a constant reminder that the party's not over... Until every Turtle lies on its shell. 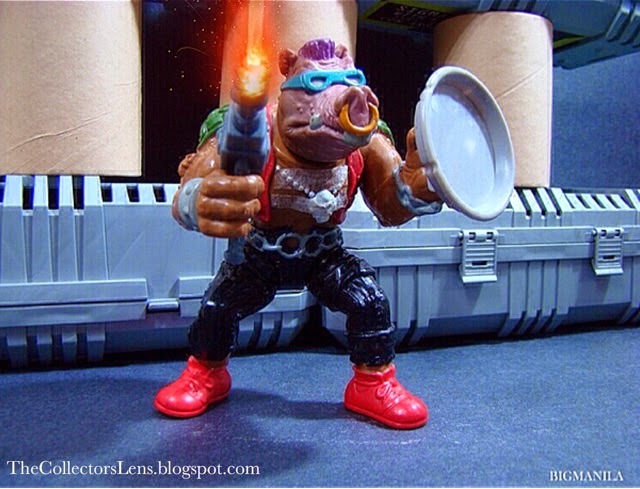 Bebop was armed with a "Turtle Shell Drill" (which resembled a power drill but with its own telescopic sight attached), a double-edged knife that resembled the Gerber Mark II fighting knife, and a trashcan lid for a shield. The Gerber Mark II is a fighting knife manufactured by Gerber Legendary Blades.t was designed by retired Army Captain Bud Holzman, who based the pattern off a Roman Mainz Gladius.It has a double-edged spear-point wasp-waisted blade, and used a distinctive handle. 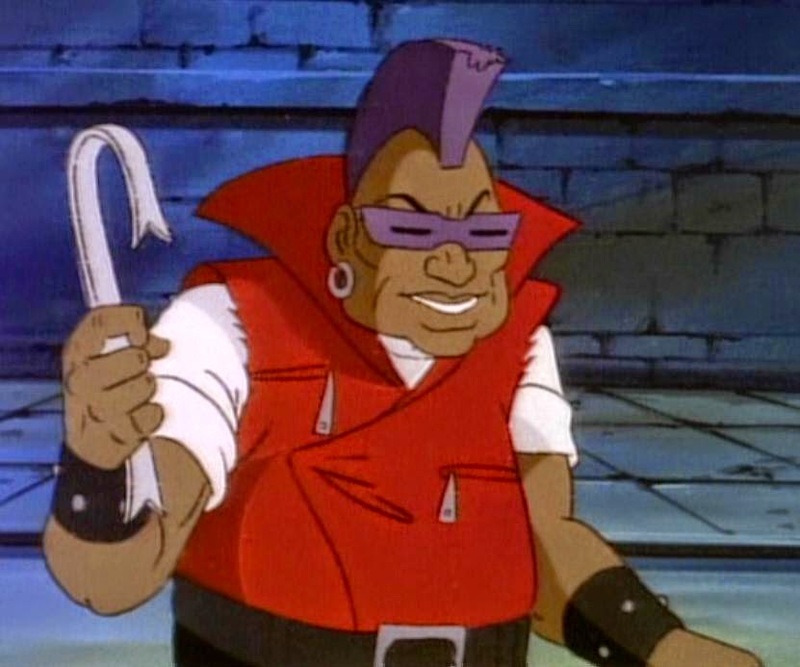 In the 1988 cartoon Bebop was originally an African-American human gangster that was hire by Shredder, affiliated with the likes of thugs such as fellow mutant Rocksteady. With the other members of his gang, he was sent out to stop a Channel 6 reporter named April O'Neil from doing a report about crime in the city. April ran down into the sewers while being chased by the street gang and met the Teenage Mutant Ninja Turtles, who then defeated the gang in a fight. 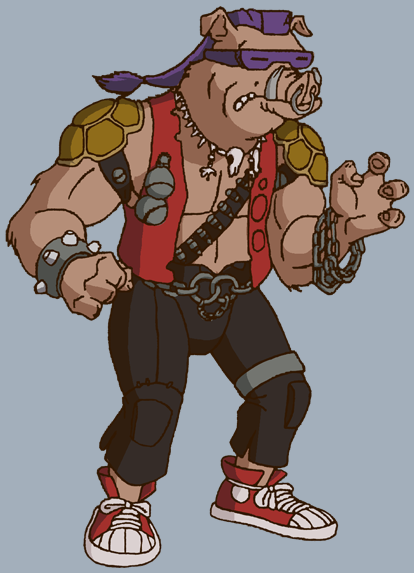 The mutant punk rock wort hog who could slam dance his way through any crowd. This road hog warrior dares to shave his head in blatant opposition to the establishment and his parents. 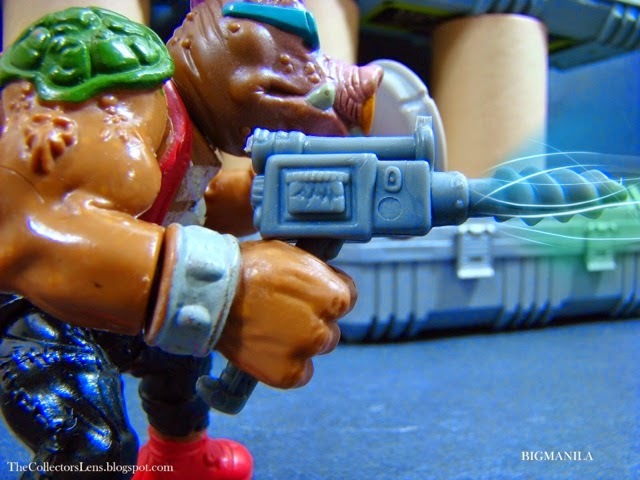 Behind his mohawk ponytail, cool shades and all-star tennis shoes lurks the heart of a pig, ready to pulverise the Turtles. Guided by the evil Shredder, Bebop is willing to roll in the mud to snort out the Turtles. His two turtle shoulder pads cover a grotesque array of safety pins, tattoos and junk food. 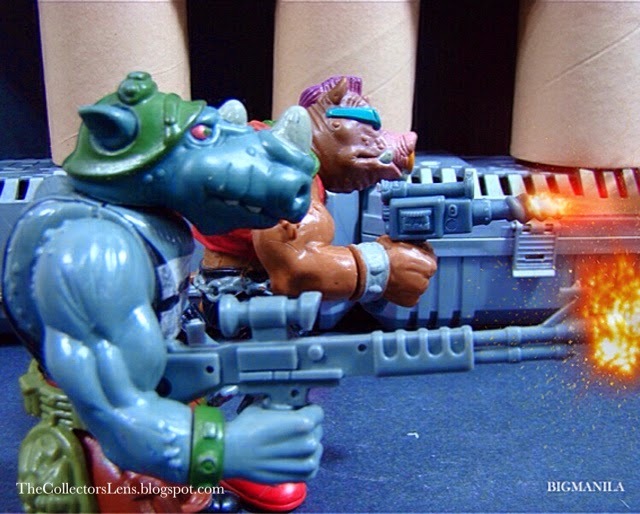 Bebop and Rocksteady were originally human, part of a street gang in New York City that was hired by the leader of The Foot Clan The Shredder. 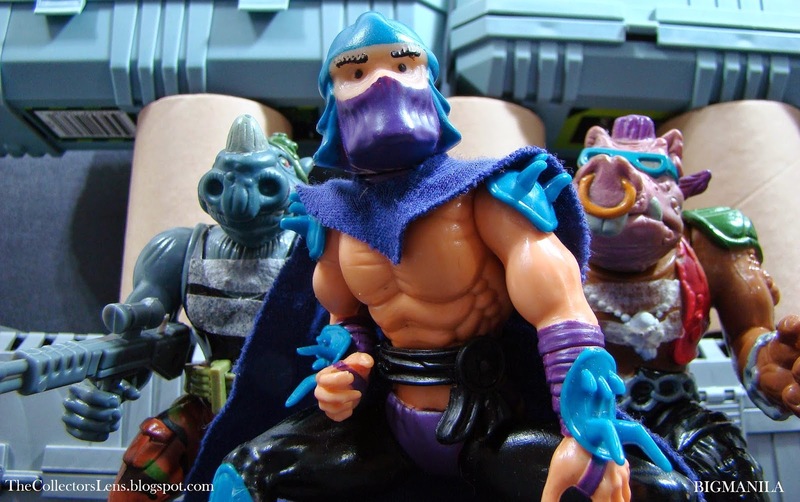 More TMNT Action Figure photos coming soon. Thanks for looking and don't be shy to leave a comment below XD. I had this guy in my collection for over 20 years and Im still not tired of looking at him!